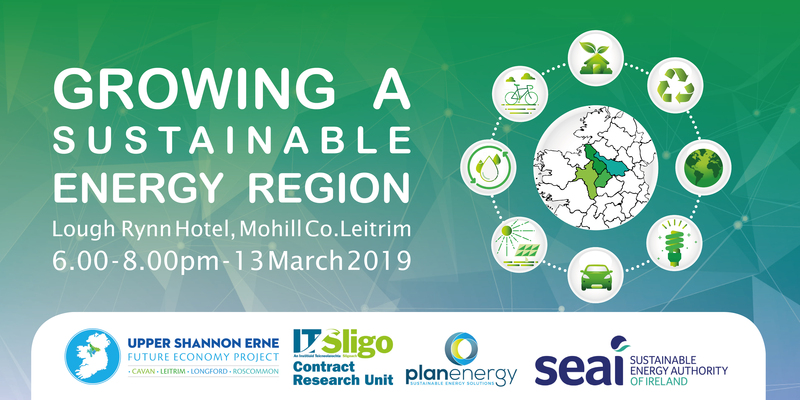 The Upper Shannon Erne Future Economy Project in collaboration with IT Sligo will host a facilitated event on growing a sustainable energy region. Across the counties of Leitrim, Longford, Roscommon and Cavan there are 14 Sustainable Energy Communities (SECs) on the Sustainable Energy Authority of Ireland (SEAI) network. We aim to bring the SECs from across the region together to explore opportunities and challenges. This event will build networks, identify areas of collaboration and explore future regional projects.